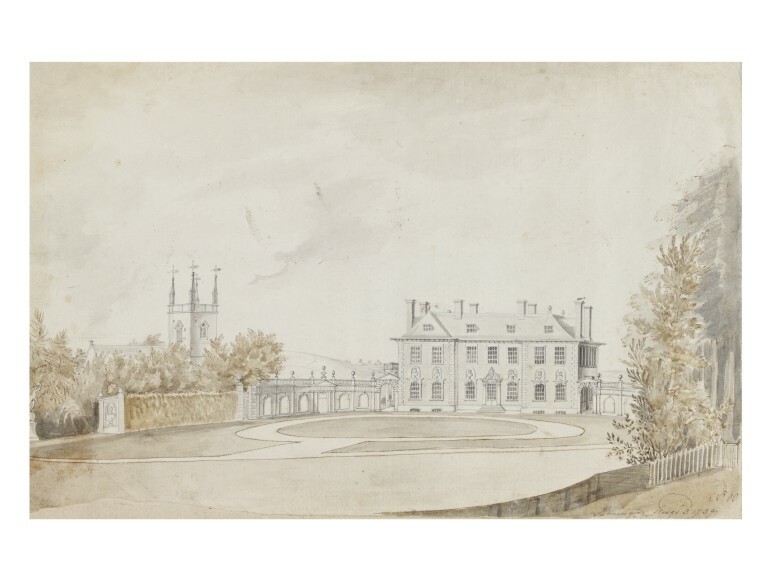 Drawing of Honington Hall, Warwickshire, by Thomas Robins. Honington Hall was built in the early 1680s for Henry Parker and modified in 1751 when an octagonal saloon was inserted. Thomas Robins is an enigmatic artist and, so far, little has been discovered of his life. He may be descended from the family of Robins who held the manor of Matson. 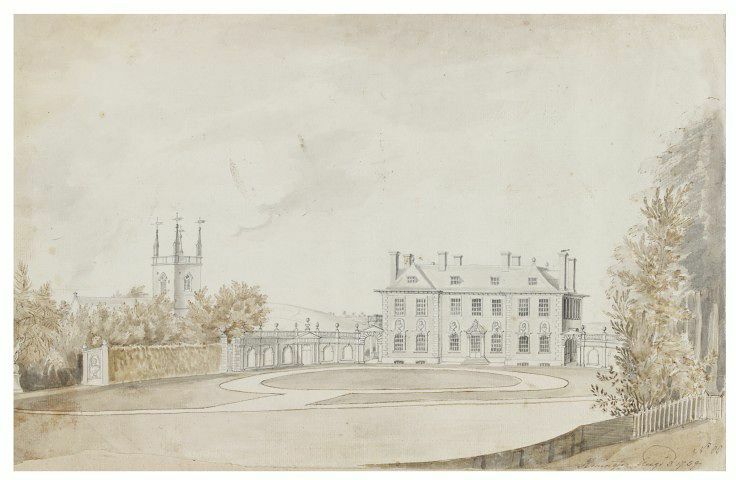 He published a Prospect of Bath in 1757 and A View of the Baths and Pump Room in 1764. His son Thomas Robins the Younger was a drawing master. 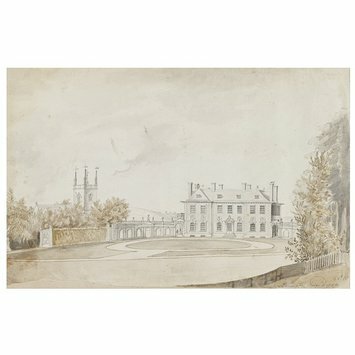 Between 1747 and 1770, Robins produced a series of drawings and paintings of English country houses and, in particular, their gardens. His surviving drawings and paintings epitomise English rococo taste. Robins was either specially attracted to rococo gardens, or had a reputation for the delineation of such gardens in the circles of cognoscenti of the rococo. Robins and his work are of significant interest both topographically and aesthetically. His pictures of rococo gardens, with their vistas and ornamental buildings, are of great historical importance because they immortalise a fashion whose exemplars have disappeared. Robins, who was in many respects an 'amateur' painter, never succumbed to conventional facility and his views retain the charm and freshness of a personal discovery. Drawing of Honington Hall, on paper, in watercolour and pen and ink. The classical building has a circular path in front and busts above each window. There is a church to the left of the house with weather vanes on each pinnacle. 'No 88' is written in brown ink in the bottom right hand corner and it dated 'Aug 3 1759.' The drawing is in a landscape format and attached to one page of the album.